The 5:2 Diet is a diet where people eat normally for five days of the week and restrict their calories for two non-consecutive days. The creator of the 5:2 diet Dr Michael Mosley, is a popular presenter on the BBC who has contributed to more than a dozen series for the international public service broadcaster. A qualified doctor, documentary maker and an award winning science journalist, Mosley specialises in presentations involving health and the human body such as Helicobacter pylori, parasites, the brain and our digestive system. After being diagnosed with high cholesterol and type II diabetes, Dr Mosley sought out natural methods to reverse these conditions. While experimenting on himself with various strict fasting regimes he came up with the popular 5:2 diet, the subject of the very popular documentary Eat, Fast And Live Longer. The intermittent fast involves eating normally but sensibly for five days of the week where you need to stick to the recommended daily calorie intake (2,000 calories for women, 2,500 calories for men). On the other two days, the recommended daily calories is cut to a quarter – 500 calories (2092 kJ) for women and 600 calories (2510 kJ) for men. 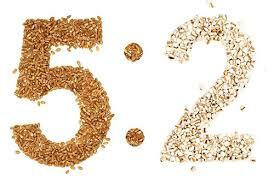 Why Do the 5:2 Diet? Improved insulin sensitivity – a marker for a reduced diabetes risk. Improvements in reducing the ‘bad’ cholesterol. Animal studies reveal it may reduce the risk of dementia. Lose weight. In people who are obese or overweight a study of 115 overweight women showed that those who restricted their calories two days a week lost more fat than women doing a more conventional diet. There appears to be repair and maintenance occurring at a cellular level when we are not eating. Fasting for short periods may help to give your digestive system a rest. Improvement in the biomarkers that relate to breast cancer. Unhelpful habits are broken for example grabbing snacks on the run. On the normal eating days, appreciation for a nutritious meal is enhanced. On these days energy levels are increased making it easier to continue to eat well. The ability to listen and retune the bodys’ hunger and satiety signals are improved. In cases where people are starting the diet in order to loose weight the intermittent fasting will help the bodys’ ‘fat brake’ kick in. It can be peaceful and productive. When energy levels are limited on fasting days, utilising the energy you have becomes important and wasteful activities are de-prioritised. It allows alternative means of coping to be found other than reaching for food. The basic principle on fasting days is to eat foods that are high in protein and fibre, as these are the most satiating. That means fish, meat, vegetables. There are a considerable number of books, apps and websites dedicated to providing meal suggestions for the fasting days. 5:2 Diet Recipes: What Can You Eat On The Fasting Days? It is suggested to avoid alcohol on fast days as alcohol is high in empty calories and will cause an insulin spike. A Example of a Fasting Day Meal Plan. The exercise regimen attached to the 5:2 diet is also based on the lifestyle of our ancestors: lots of walking and short bursts of intense exertion. People who exercise in a fasted state burn more fat. Additionally exercise can be a useful distraction if a person is feeling hungry. On fast days avoid endurance training and if you are feeling light headed stop immediately. If you want to try fasting, do so safely. Get the OK from your health professional. Try to maintain a protein intake of about 1g per kilo of body weight. Keep exercising even if it’s just gentle walking. If possible it helps to fast with someone else. On fasting days women are allowed only 500 calories while men are allowed 600 calories. This equates to an extremely limited daily intake of food. For example a fasting day could include two eggs and some mushrooms (no toast) for breakfast, then 60g to 80g of poached chicken and a little side salad for lunch, and a small piece of white fish with a little bit of salad for dinner. For many people this extreme caloric reduction may be too much to cope with. When trying to carry out normal activities such as working, exercising, driving or operating machinery on 500 – 600 calories many people may find that they’re very tired and a bit airy-fairy. Therefore these activities need to be done with extreme caution. After fasting there is a possibility of over eating. Side effects may include poor sleep, bad breath, dehydration or anxiety. Restricting food may lead to nutrient deficiencies if the body doesn’t get all the vitamins and minerals it needs. It may not be a sustainable solution as people are unlikely to include fasting in their diet long term. Fasting can leave you with less energy which can affect your ability to function in daily tasks. The diet is not suitable for pregnant women, Type I diabetics, children or people recovering from surgery. Endurance training during fasting days is not necessarily safe and is not advised. There is concern the 5:2 diet may encourage eating disorders amongst vulnerable people. The fasting days can lead to lower energy, poor mood and concentration and a preoccupation with food and calorie counting. The 5:2 diet takes a lot of discipline. A risk with this diet is that people may lose the weight, then find they cannot stick to the fasting principles and put it all back on again. Yo-yo dieting has been shown to be detrimental and can lead to the weight creeping up over the years. The 5:2 diet may not be for everyone as the idea of intermittent fasting sounds counterintuitive to many. Dr Mosley has introduced an alternative diet that appears to provide positive health outcomes such as a reduction in blood pressure, blood sugars and cholesterol. Followers are allowed to eat healthily and normally for five days of the week allowing this diet to be both manageable and flexible. To ensure success when on the 5:2, it’s important to ensure sensible eating on the fasting days, making sure each meal has a good ratio of protein to slow releasing carbohydrates. Is Coconut Oil Beneficial In Alzheimers Disease? Good read about an excellent diet, but surely there’s a typo with the typical recommended energy intake (nonfasting days) – do you mean calories instead of kilojoules? 2000kj is not high enough!